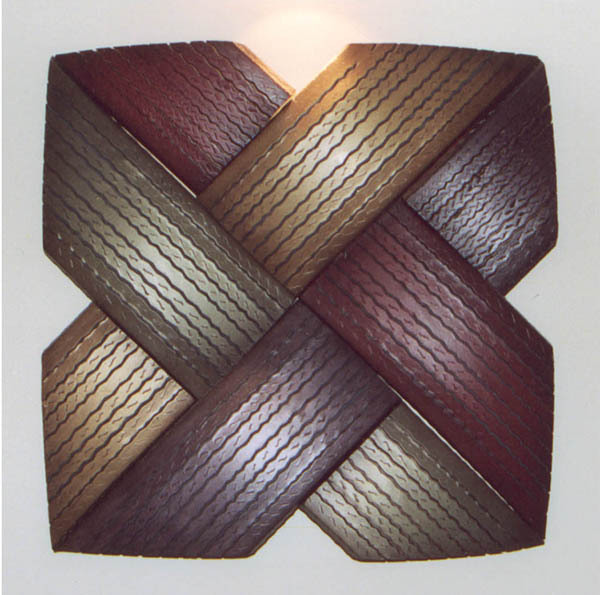 Collection of cool reuses for old tires from all over the world. 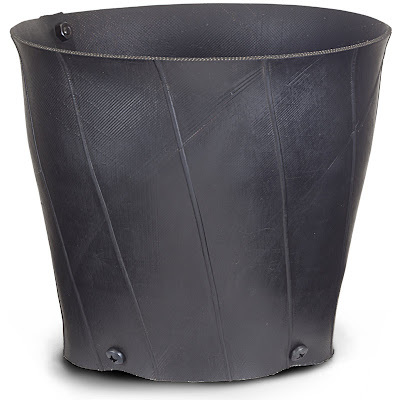 Tire Planter: It measures 7 1/2" high, has a 6" base, and a top opening of 8 1/2"; these make excellent flowerpots and are great for organizing anything you can imagine. 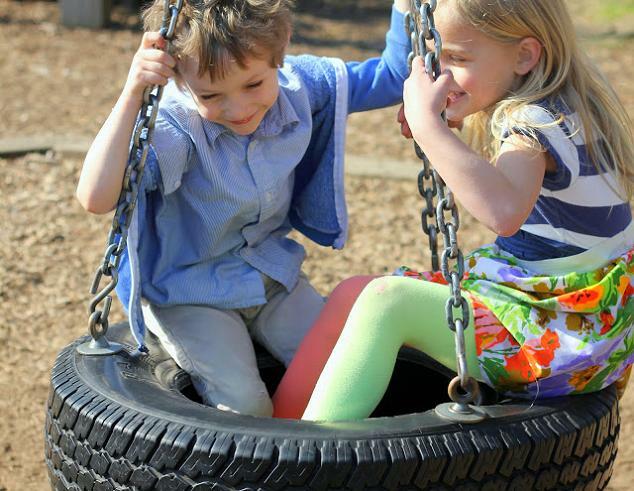 Tire Swing: You can make a swing from old tires for the little ones. 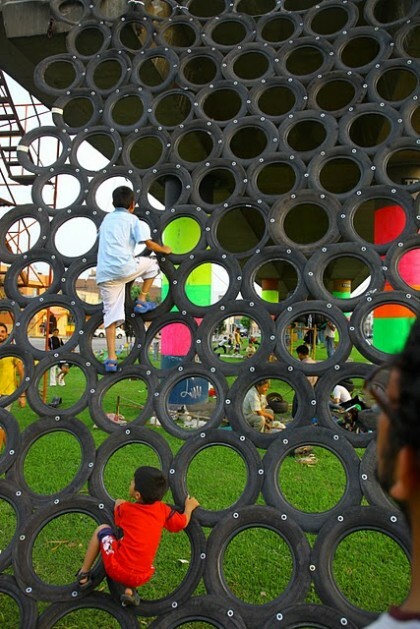 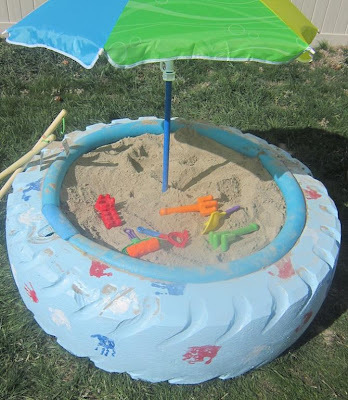 Tire Climbing Structure: Making a climbing structure from old tires will put lots of old tires into good use. 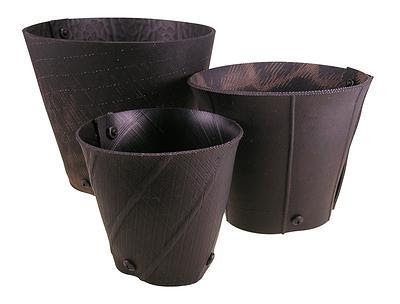 Desktop Trio: Baskets made from old tires. Amelia: Amelia is a centerpiece basket, made from old tires, measures 4" high, has an 8" base and a 10" opening at the top. 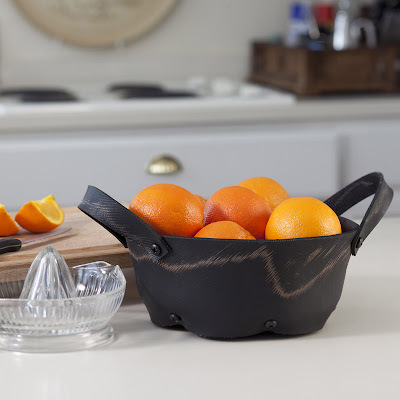 Tire Basket: These multipurpose baskets made from old tires can be used for variety of thing, from storing oranges, magazines, newspapers, wood and more. 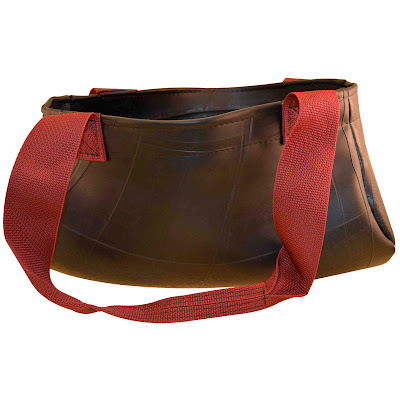 The Shelby Bag: The Shelby duffel style in burgundy is made from old truck tire inner tubes. 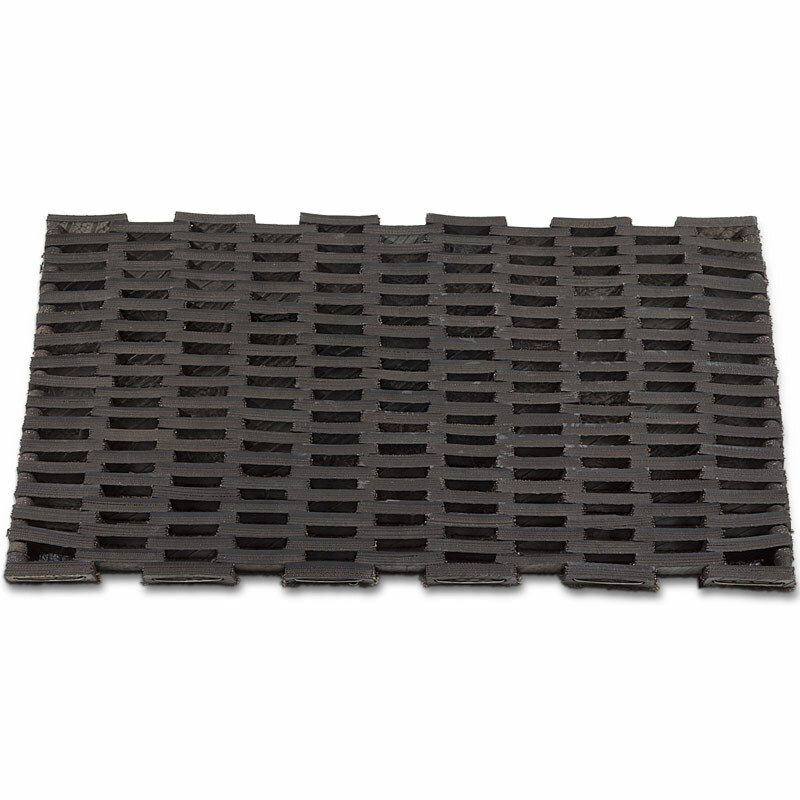 Tire Link Door Mats: These mats are made from old tires, while the links are put together with galvanized 12 gauge spring steel. 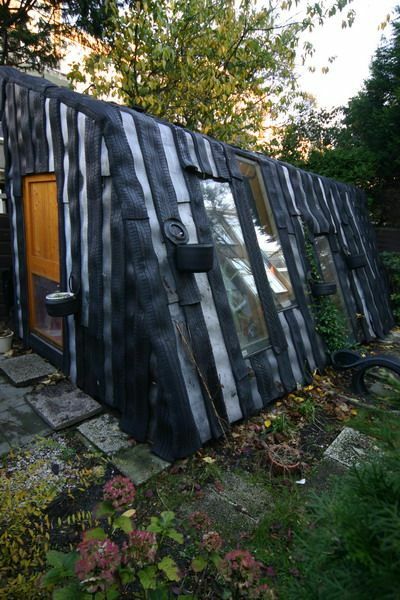 Tire House: It's a functional four-season garden house with office and storage spaces. 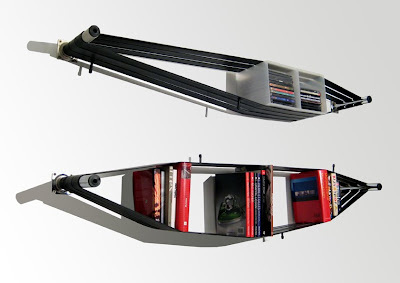 Made from re-used wood, old car tires, insulation glass and stainless steel trays; it measures 8×2.5 meters. Tire Furniture: This armchair is designed by Italian designer Zak and fashion label Cavalli. Elasticshelf: This shelf system by SystemDesignStudio for the home or office is made out of used bike tires. 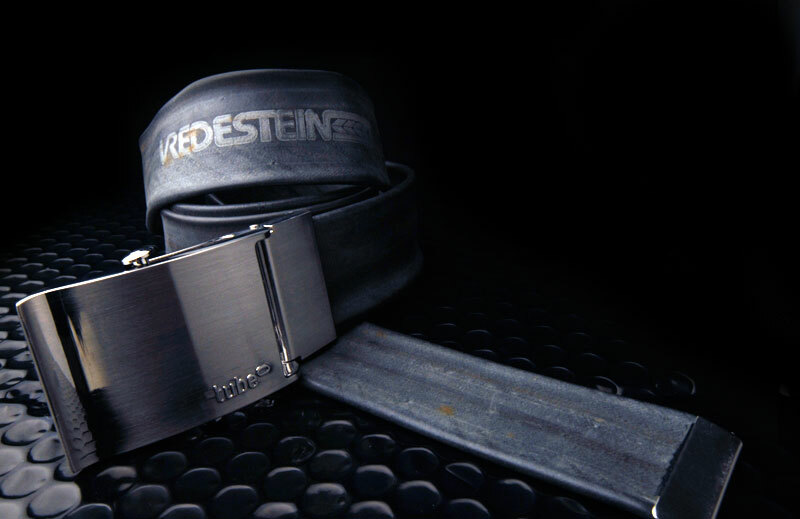 Tire Belts: Unusual yet cool belts made from old tires. 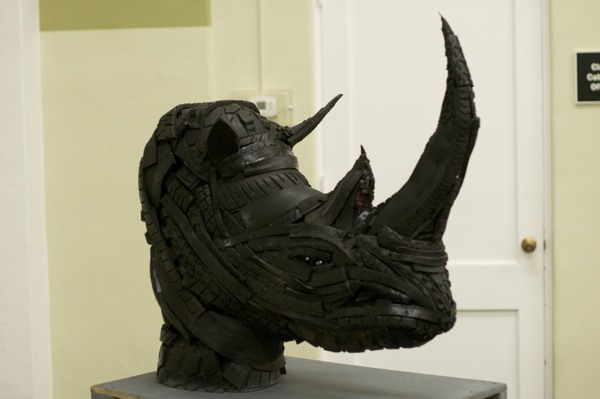 Tire Art: Student artist Ben Steury created this animal sculpture out of old tires. 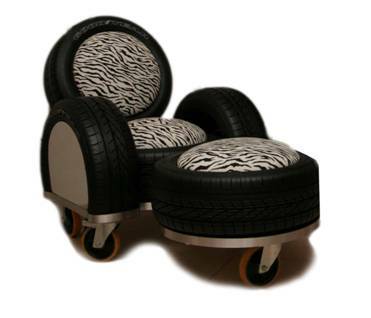 Tire Bowls: Dutch designer D Wijskamp created these bowls, made from old car tyres. 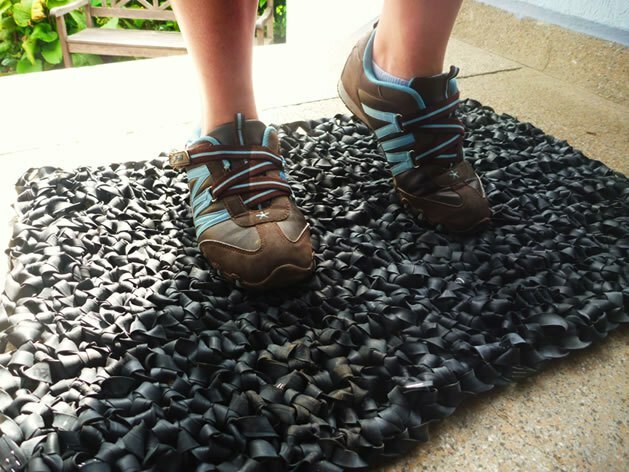 Bicycle Tube Door Mat: A cool doormat made from used bicycle tubes. Tire Sandbox: Make a sandbox from an old tire. 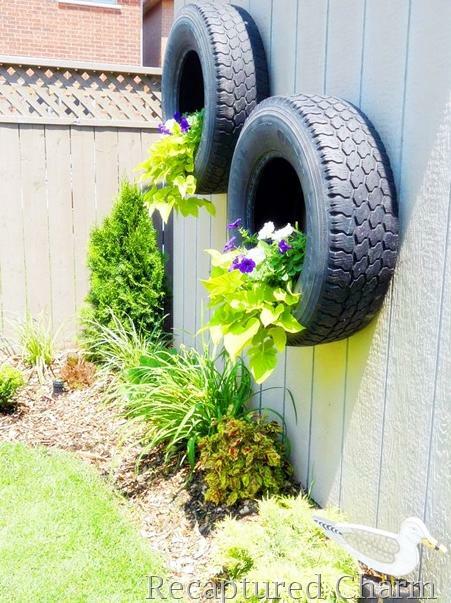 Tire Wall Planters: Make wall planters using old tires. 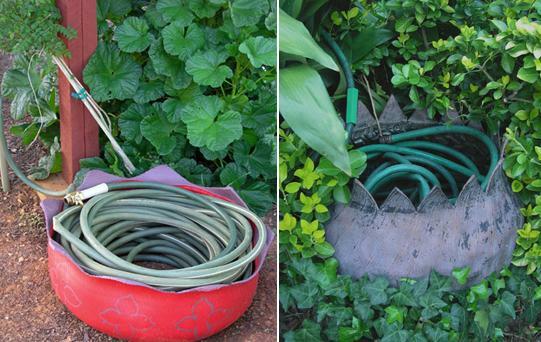 Tires Hose Rollers: Use old tires to make hose rollers. Bicycle Tube Pouch: Make a pouch from bicycle tube; just follow the instructions. 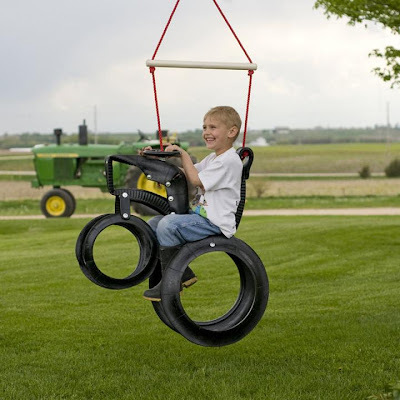 Tractor Ride N Tire Swing: This swing takes its inspiration from tractor design and is made from old tires. 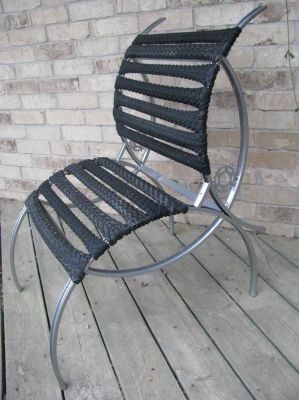 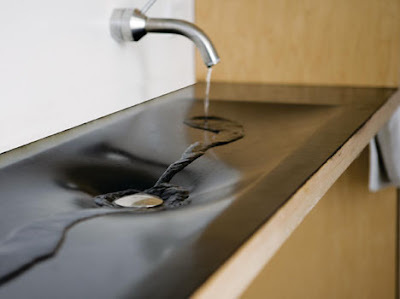 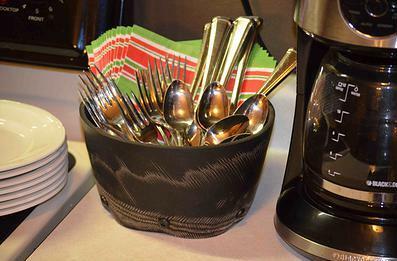 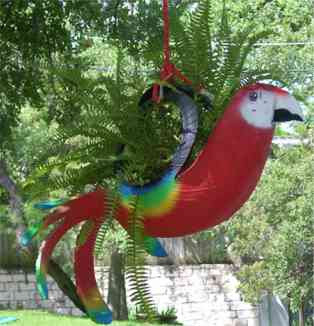 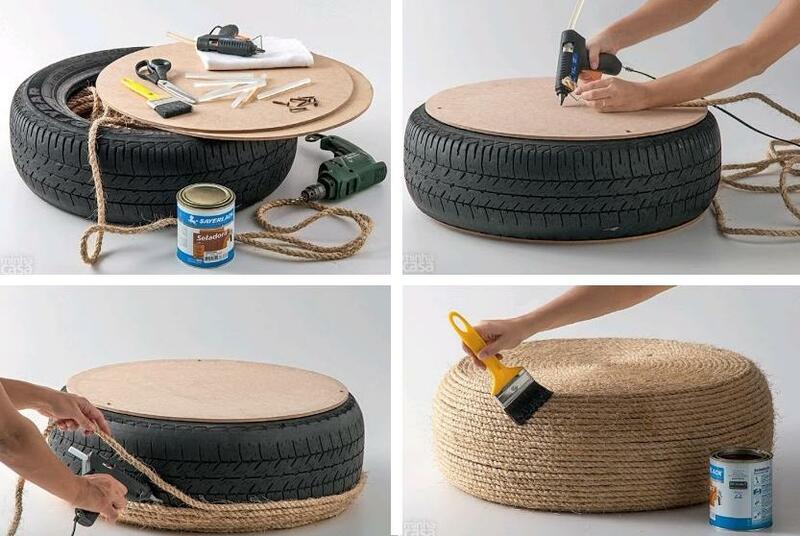 Don't miss to check out "Cool Ways To Reuse Old Tires - Part: 1| 2| 3." 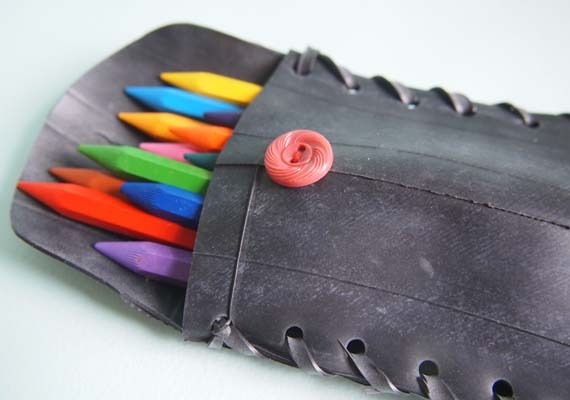 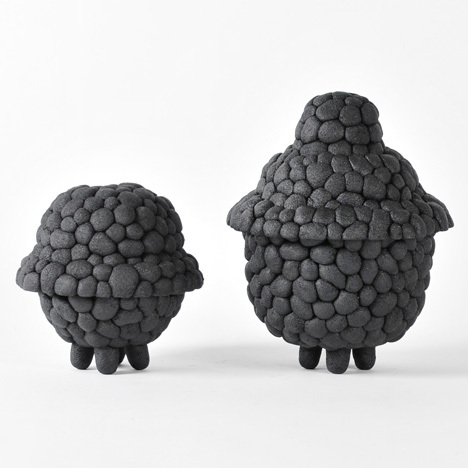 15 Chalkboard Inspired Products and Designs. 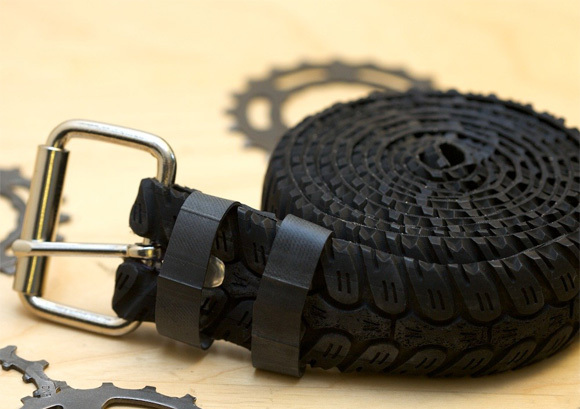 15 Clever Business Cards and Creative Business Card Designs - Part 9.